In the nine months since the U.S. Supreme Court struck down the federal ban on sports betting, six states have quickly legalized sports betting, fantasy sports platforms like DraftKings and FanDuel have pivoted to gambling, and pro leagues have partnered up with casinos for the first time. The momentum of legalized sports betting in America is clear. But Disney CEO Bob Iger still wants nothing to do with the business of gambling. Iger’s answer was basically: No. “I don't see The Walt Disney Company, certainly in the near term, getting involved in the business of gambling, in effect, by facilitating gambling in any way,” he said. That answer may be surprising, at first glance, to viewers of ESPN, which is owned by Disney. ESPN, over the last few years, has quietly ramped up its programming about sports betting. Even before the Supreme Court decision, ESPN.com had ESPN Chalk, a vertical devoted to betting; betting content on ESPN Insider; betting lines shown on ESPN.com; a “Behind the Bets with Doug Kezirian” podcast launched in 2017; and “Bad Beats,” a recurring segment about betting on ESPN’s midnight SportsCenter hosted by Scott Van Pelt. And since the SCOTUS decision, ESPN has gone further. 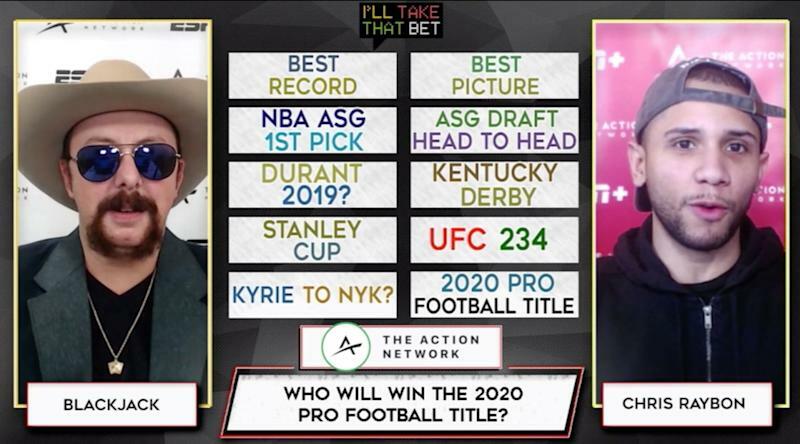 One of the original shows on streaming service ESPN+, which launched last April, is “I’ll Take That Bet,” produced in partnership with betting site The Action Network, on which hosts discuss betting lines in extreme detail. "I'll Take That Bet" is a gambling show on ESPN+ in partnership with The Action Network. The key distinction for Disney: taking bets vs providing betting content. Iger made the same distinction in his answer on the earnings call. Indeed, “overt” is a good word for it. ESPN’s betting programming has grown quietly, but as legal sports betting grows, ESPN’s content will likely get more overt, and sources have told Yahoo Finance that more gambling programming is coming soon. Just don’t expect Disney to acquire a business like DraftKings any time soon.